Aeroklas Co Ltd is a member of the Eastern Polymer Group (EPG) and has been producing finished rubber and plastic products for over 35 years. 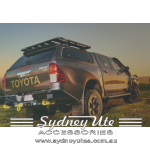 In 1996 the company expanded it's business into producing pick-up truck bed liners under the Aero liner and Hero liner brands and is now recognised as the leading manufacturer Automotive Accessory. 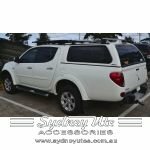 In 1996 the company expanded its business into producing pick-up truck bed liner under the Aero liner and Hero liner brands and Is now recognized as the leading manufacturer Automotive Accessories. 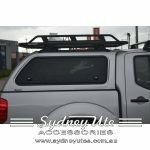 The company has now diversified to cover a range of car and pick-up truck accessory products for both Thailand and overseas markets. Aeroklas pays great attention to every aspect that contributes to the success of each process including production, quality, manpower and factory excellence. 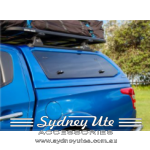 This thoroughness has enabled us to be accepted as one of the worlds top ranking auto accessory companies. Ford, Honda, Isuzu, Mazda, Mitsubishi, Nissan, Toyota, GM, and VW. 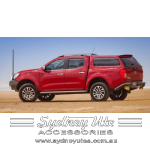 We are also the sole distributor of the leading automotive brands. Are you ready to join us in fulfilling the needs of the automobile industry? as long as the automobile industry continues to innovate, Aeroklas will endeavor to create new dreams to satisfy the needs and imagination of the auto world today and every day. The vital department helps developing new materials and production processes for the manufacturing of innovative new products. 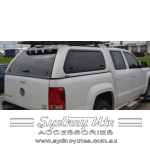 Aeroklas is the world’s first manufacturer of an ABS double shell canopy. Our modern factory utilizes advanced technology throughout the facility and the production processes, automated to world-class standards. You can be confident in Aeroklas has the ability to completely develop products from initial concept through to mass production. This unit was established to administrate company patents and trademarks both locally and overseas. At present, the company holds more than 1,000 patents and trademarks around the globe for inventions and designs in the automobile industry. Aeroklas ABS Double Shell Canopy. 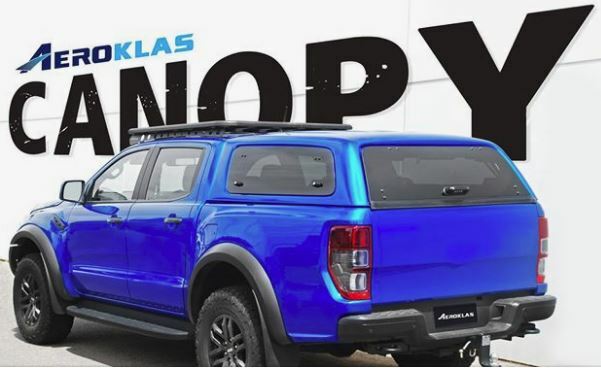 “Aeroklas are on the cutting edge of canopy manufacturing and development being the first company in the world to offer a ABS Double Shell Canopy. 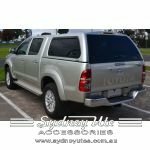 ute liner chipping or cracking. from – 18°C up to + 10°C. Equipped with a high quality compressor. Illuminated interior with LED-lights. Therefore no thermal bridge. Cooling compartment without interstices – hygienic and easy to clean. Content will not freeze onto inner surfaces. Instrument panel easy to operate with digital temperature indicator. 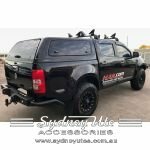 The Gladiator ute-box put’s your valued truck bed to use with its extensive storage capabilities. Manufactured using high quality MDPE (Medium Density Polyethylene) the material gives the box incredible durability whilst it is extremely light weight.MDPE is a UV resistant material which increases the life span of these boxes helping them age well over long periods of time.The gladiator includes a central opening lid that can be manually raised and lowered or kept open using it’s ‘stay open’ feature. Inside the box there are two removable trays that are used to categorise your smaller items followed by the bigger storage space for larger items below. 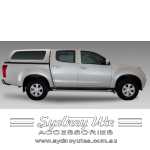 To assure your belongings are kept safe, the gladiator Ute box delivers the best in protection with its advanced key locking system. 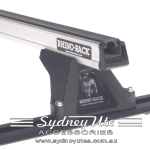 Rhino-Rack has been creating world-class roof racks since 1992. 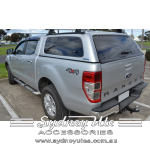 Today Rhino Rack is the proud owner of Australia’s most diverse and innovative range of roof rack products; supply high quality gear to all industry segments. 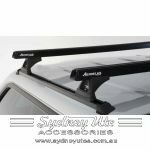 Aeroklas is excited to announce the release of our new Canopy Roof Bar System; Aeroklas By Rhino Rack. 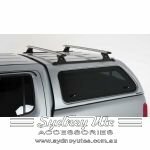 Fully engineered to carry up to 80kgs on the roof of an Aeroklas Canopy, the new roof rack system makes it easy to mount an awning or carry larger items.